Most customers struggle to keep their PeopleSoft systems current, and require substantial experienced PeopleSoft resources (developers and/or consultants) to manage and maintain their environments. While PeopleTools is a fantastic software platform for building and running applications, since the early days customers have found its management tools inadequate. Traditional change management tools for PeopleSoft have focused on version control and object migrations. While these types of products, which include STAT, Newmerix's Automate!Change, and others provide control and rollback functions for PeopleSoft migrations and developers, it has been our position that these types of products only support a limited view of the change management requirements faced by customers. In order to meet what we see as the need for comprehensive application management, Beacon has developed a new software platform, BEAM (Beacon Enterprise Application Manager). Release 2 of Beam was shipped earlier this week. BEAM was built specifically to manage PeopleTools, PeopleSoft applications, and environments. Beam uses PeopleTools, but it also extends and enhances the functionality of PeopleTools. BEAM is delivered as a PeopleSoft project, which is installed, along with a copy of PeopleTools (PT.SYS), into a dedicated BEAM environment. The BEAM environment is connected to a customer PIA (Peoplesoft Internet Architecture) like any other environment. BEAM has no footprint in any customer environments, and can select any existing environments as a source or target for its jobs. We have used BEAM to enhance the capabilies of our two existing products, BEAM Change and BEAM Test. Addionally, we used BEAM to build a new product, BEAM Compare, which we also began shipping this week. Customers of BEAM Compare will be able - for the first time - to compare any PeopleSoft tables that share keys across environments. 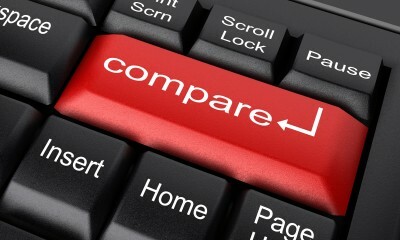 Compare records. Compare the structure of the records. Compare Pages, Components, Trees, Permission Lists, Security Objects, Classes, and so on. BEAM Compare compliments the existing migration and version control cababilities of our Change product, and supplements the power of our BEAM Test automated testing tool for PeopleSoft. BEAM Compare and BEAM 2 are now available for existing BEAM customers running SQL Server and Oracle. (DB2 is scheduled for later in 2013). Shipments for new customers will begin in April. Beacon has spent over two decades dedicated exclusively to PeopleSoft services and PeopleSoft customers. We were able to conceive of and build these new capabilities in no small part because of our deep expertise in PeopleSoft technologies, and the diverse business needs of the hundreds of customers we have worked with over that time. Compare Change and Test your PeopleSoft applications and environments with BEAM and Beacon.